I recently talked about the importance of wedding etiquette, but now I want to give you the tools to apply this to your own wedding. Throughout this four-part series, you will learn everything you need to know about wording. 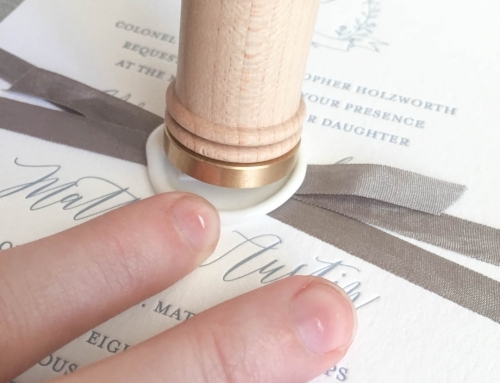 Today is all about wedding invitation wording. You can find the other parts below! 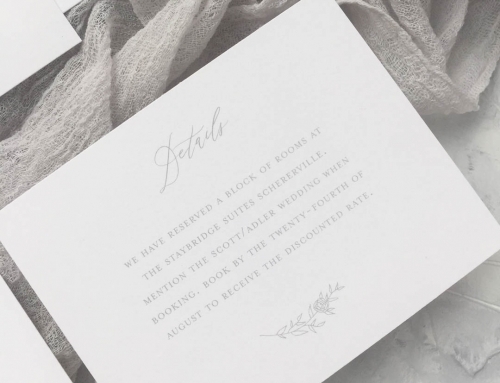 I’m going to break down each line that makes up your wedding invitation wording. This way you will know the actual reason behind them so nothing gets left out. The announcement line is an optional line that is being used less and less often. This line consists of a phrase such as “with great joy” or “with joyous hearts”. You can use it to show your pure joy and excitement. The host line is where you state who is hosting your wedding. Who is the one throwing the reception? Who is doing the inviting? You will list the hosts names here. This may be one set of parents, both sets of parents, the couple, or all of the above! In this case, you would use the phrase “together with their families”. After the host line, you will use the request line to do the actual inviting! “Request the honor/honour of your presence” is the most traditional for ceremonies taking place in a house of worship. “Request the pleasure of your company” is a common option for ceremonies not in a house of worship. What are you inviting your guests to? The event line is where you make that clear. “At the marriage of their daughter” is commonly used for weddings where the bride’s family is hosting. You can also omit “their daughter”. “At the wedding of” and “at the ceremony uniting” are a couple other options that you have the option of using. This is where you list the couple’s names, typically connected with a “to” in between. Certain religious affiliations will use “and” instead. 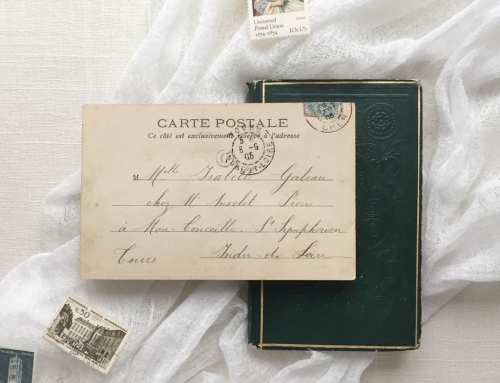 Traditionally, you would include middle names, but including last names depends on who is hosting and if their last names are the same. This is another optional line. If the bride’s family is hosting, you can include the “son of” line to make sure the groom’s parents get acknowledged. Time: You also write out the numbers here. Ex: “five o’clock in the afternoon”. The time of day is not always necessary. Make sure to use “half past” or “quarter past” if your ceremony is not on top of the hour. Location:Write out the full name of the venue. The address is not included unless it could be mistaken for a different venue. City, State: This pretty self explanatory. Make sure you don’t abbreviate the state. This is the line that typically says “reception to follow” or “dinner and dancing to follow”. 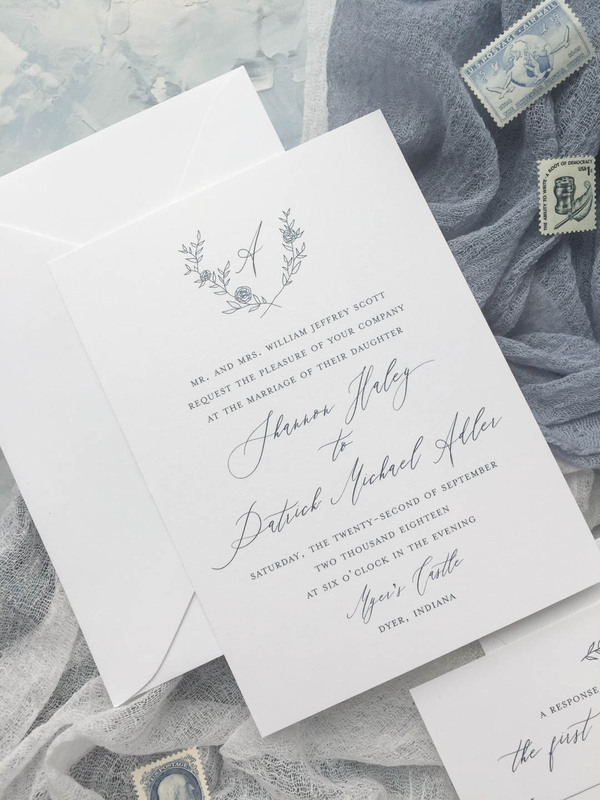 This line is also optional, and you should only use it in your wedding invitation wording if your reception is immediately following the ceremony in the same venue. If you need to tell your guests a different venue or time, you should explain this on a separate card. 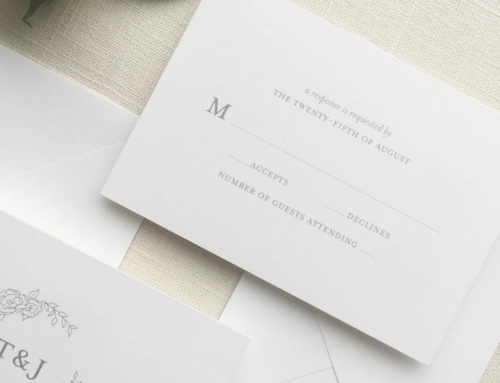 Usually, you should leave dress code out of your wedding invitation wording unless it is absolutely necessary. For example, if your wedding is a black tie affair, you can include “black tie” in the bottom right corner. 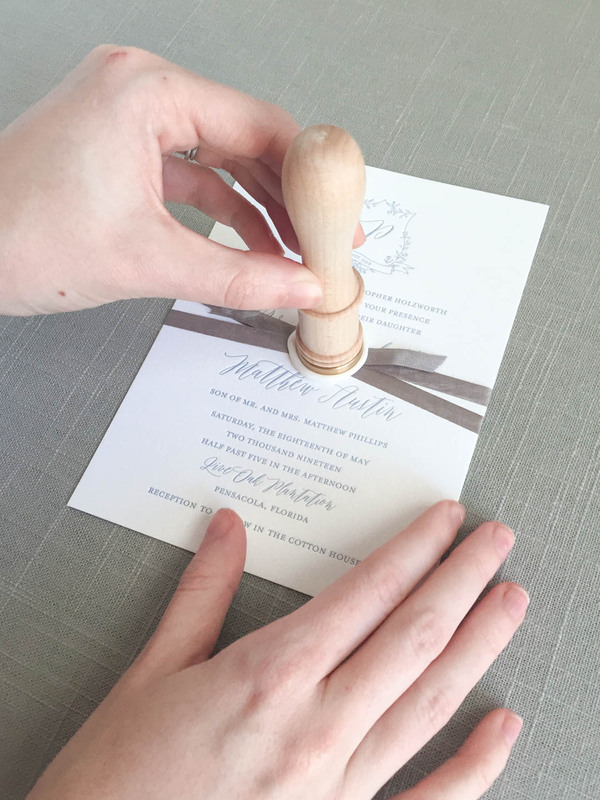 This covers the purpose behind each line in your wedding invitation wording, but I know there are so many different situations that I can’t cover in one post. Reach out if you have any specific questions! 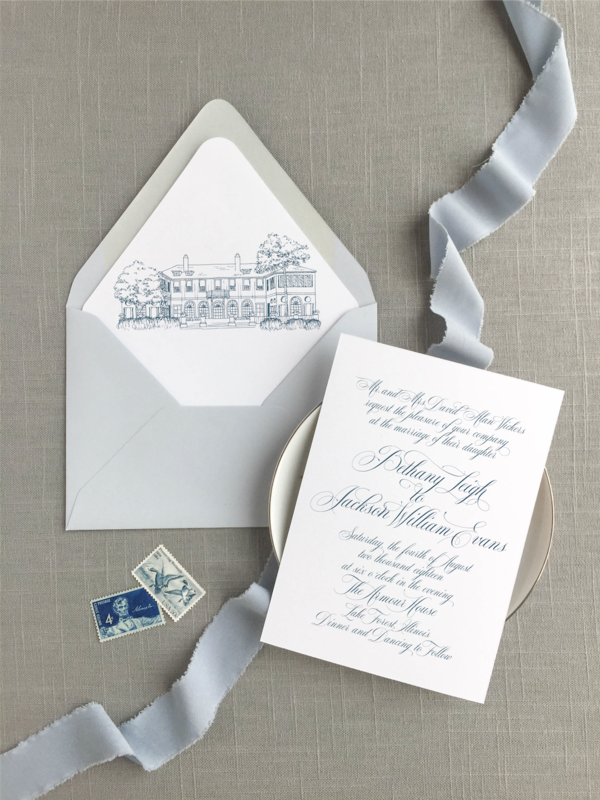 Check out Part 2: RSVP Card Wording!